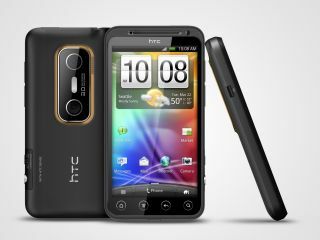 The HTC Evo 3D release date might have been ages ago, but it has suddenly become attractive again thanks to a mighty price drop. The phone, which once retailed for over £500, is now a snip at £207 from everybody's favourite bum-spanking retailer, Asda. That's a massive fall in cost, and brings the handset in line with the likes of more budget devices like the Samsung Galaxy Ace. However, the HTC Evo 3D specs are still mightily impressive: a dual core 1.2GHz processor, 1GB of RAM and a qHD 4.3-inch screen all scream power. We've also got the fact it can record in frickin' 3D as well, thanks to two 5MP sensors welded on the back. Although don't get too excited: the phone can only take 2MP-worthy 3D shots. However, for £200-odd, we can't help but recommend this as one of the bargains of the year already, and with no sign that it won't be getting the next version of Android (the HTC Evo 3D update was confirmed last year) we urge you to pop one of these in your basket next time you're out to stock up on crispy pancakes.